If you are looking for online counselling services you have come to the right place! Every one of these therapists has taken our cybercounselling training. They completed at least the Level 1 course. They have now licensed our software and are offering services through their own client portal. Read the description and select the one that you think fits you best! My eCounsellor provides a totally confidential counselling experience in which you and I will communicate via a series of secure email exchanges.I have a Masters Degree in Social Work, specialized training in e-counselling, and have been a counsellor for over 35 years. Helping people overcome their problems has always been my passion.In my online practice I work with individuals experiencing a wide range of issues including addictions, anger, anxiety, depression, separation/divorce, grief, marital/relationship, self-esteem, sexuality, stress management, work stress. I charge $100.00/hour. Sometimes you don’t know what’s wrong ... you just know something is wrong. Sometimes you feel stuck or lost in transition. Behaviours and thoughts that were helpful may have become unhelpful and harmful. Maybe you are tired of feeling unlovable, disconnected, incompetent, alone, anxious or depressed. You may be living with a problem. But you are not the problem. I practised law for years in major law firms and financial institutions locally and internationally before moving into mental health. Now I offer suicide intervention and alertness training in the community and therapy and counseling in person, by telephone and online. 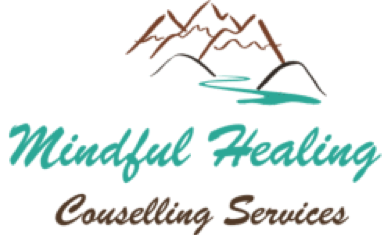 At Mindful Healing service you will be provided with a safe, warm and confidential online atmosphere in which to explore your struggles and goals with a compassionate, and skilled therapist. I am a registered social worker with a master’s degree and have over 20 years of experience. I provide counselling services for a variety of issues, such as anger, grief, self-esteem anxiety, depression, relationship issues, life transition, stress etc. My goal is to help individuals cope better with life’s challenges, minimize their suffering and to live a happier, healthier and more fulfilling life. At Sue Allen Counselling Services you will be provided with confidential, compassionate and effective counselling to assist you. With over 30 years of experience as a clinical therapist I know that it can be difficult to reach out for help – my goal is that every client is treated with respect and dignity recognizing that everyone has skills and abilities to overcome the struggles they are currently facing. I believe change is possible. Please note. The aforementioned counsellors are all private practitioners. Therapy Online provides this site as a means for these practitioners to market their services. However, Therapy Online does not supervise them or guarantee their counselling services in any way.